Holland America Line will deploy the Rotterdam from Europe year-round starting in September, 2012, on a series of extended sailings round-trip from Rotterdam, the Netherlands. The line selected the homeport of Rotterdam because of the company’s deep historical connection to the city as well its easily accessible location in Northwest Europe. 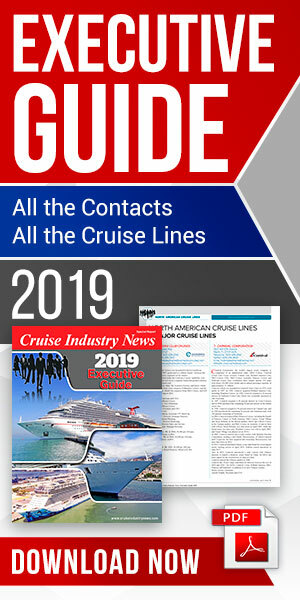 Itineraries being released through spring 2013 include several regional sailings ranging from 14 to 18 days, and two extended voyages that sail 34 and 90 days. After concluding its previously announced summer season throughout Europe, the Rotterdam sails Sept. 15, 2012 on a 14-day Spain & Portugal Explorer cruise that takes guests through the Strait of Gibraltar to Barcelona, Spain, also calling at ports in Portugal along the way there and back. Two 17-day explorations in September and October take different routes. The Sept. 29 Moorish Empire voyage sails through the Strait of Gibraltar to Civitavecchia (Rome), Italy, and back, calling at popular ports in Spain and Portugal, while the Oct. 16 Canary Island Adventure heads south to the Canary Islands and Morocco, with overnight calls at Funchal, Madeira, Portugal and Tenerife, Canary Islands. The 18-day Canary Island Holiday departs Dec. 22 and offers the same ports of call with an additional overnight at Tenerife to celebrate the New Year. The April 9, 2013, 19-day Canary Island Adventure takes the same route as the holiday cruise but adds a call at Portimão, Portugal. Departing Nov. 2, 2012, the Rotterdam sets sail from the port of Rotterdam on a round-trip 34-day Caribbean Odyssey adventure that takes the ship across the Atlantic Ocean to the Caribbean and back. After calling at the Azores, the ship sails to the Caribbean, with calls at Tortola, St. Maarten, St. Lucia, Trinidad, Barbados and all three “ABC” islands — Aruba, Bonaire and Curaçao — before returning to Rotterdam via calls at Funchal, Madeira, Portugal and Southampton, England. Guests looking for a unique adventure can embark on Rotterdam’s 90-day Passage to the Far East cruise that departs Jan. 9, 2013. The round-trip Rotterdam voyage takes an easterly route to Asia, passing through the Suez Canal and calling at ports in Spain, Greece and India, both before and after a far-reaching journey to the Far East. Guests will enjoy several overnight stays and extended time in port during calls throughout Dubai, Malaysia and Singapore. Another cruise highlight includes an in-depth two-week exploration of Indonesia, a place rich in Dutch heritage, as well as home to many Holland America crew. In addition to the full 90-day voyage, segments ranging from 12 to 53 days are available.